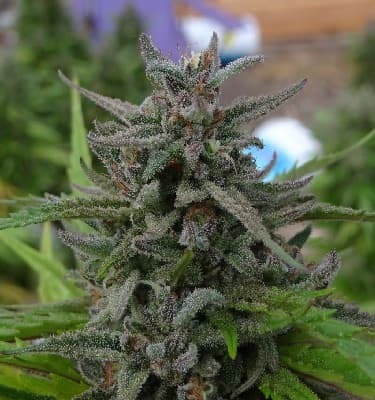 HASHBERRY SEEDS is the unique result from a rigorous selection of desirable parents, with special attention paid to preserve the hybrid vigour our strains are so valued for. Its incredible power established a reputation as being "hard to kill". 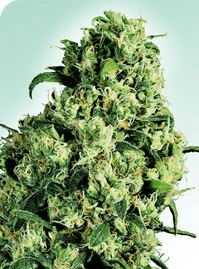 Hashberry not only has hybrid vigour, but is also very heat resistant and easy to grow. She will grow to a medium height and is a good choice where space matters and excellent for SOG. 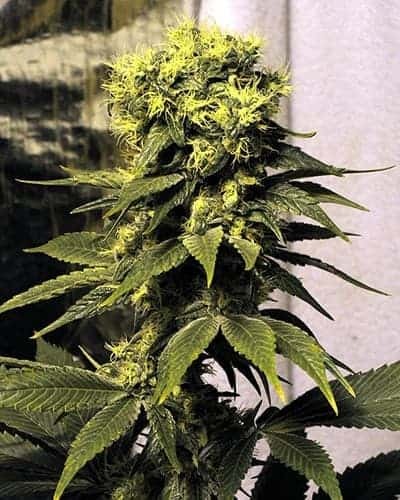 tight and heavy head bud with dense flowers along firm side shoots. 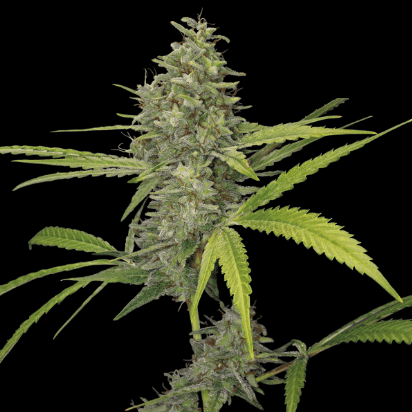 Outdoor Hashberry grows into short, broad and bushy 'trees' with incredibly heavy colas that challenge any scale. Supersize bumper crops can be expected in moderate climates or friendly autumn seasons. Even in cooler areas like Oregon this strain can perform well and certainly in a greenhouse. Hashberry, voted as the "2006 Strain of the Year" by the High Times, belongs to the eminent variety of Indica. It has a medium level TCH content, specifically 18 per cent. With a pleasant flavour of mint and pepper sprinkles, this particular strain has a thick stem with dense buds. 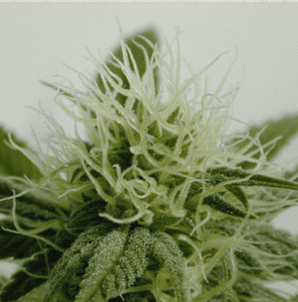 It matures most effectively by keeping low levels of humidity and water quantity, especially in the final two weeks of flowering. The effect of Hashberry on the patient is mild enough to keep you socially active and mentally present. In some cases, depending upon the quantity, it may give rise to a drowsy effect because relaxation is the key component that it provides to the patient. 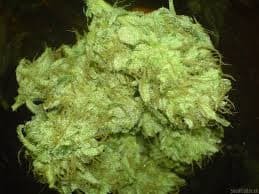 Since Hashberry works as a calming agent for anxiety-stricken, depressed and stressed-out patients, is definitely sufficient to create a tranquil state of mind and body for the user. It has also proved to be useful against the stimulating influences of insomnia. Beginners will certainly have no trouble in using this starring strain of safe medical marijuana.